Many questions have arisen about viewing All Mail in Inbox by Gmail. 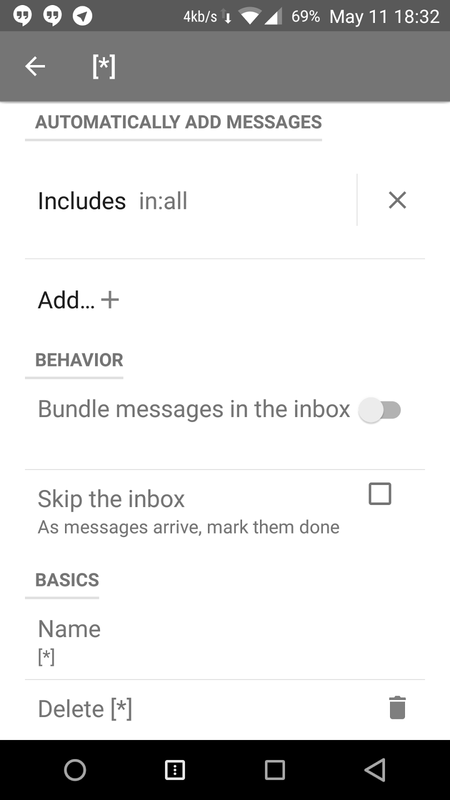 The Help files and many references to Inbox make mention that the Done Bundle is the equivalent to the All Mail label in classic Gmail. 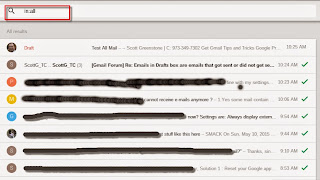 Essentially marking an item as Done in Inbox is the same as archiving an email in classic Gmail. 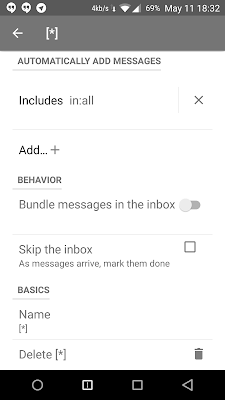 When you view the Done bundle in Inbox, you will ONLY see those emails marked as Done, regardless of what Bundle they are in, with the exception of Inbox, Chats/Hangouts, Sent, Spam, Drafts, and Trash, whereas All Mail shows everything except Trash and Spam. The Done bundle also differs from All mail in that it lists messages in the order that you marked them as Done as opposed to the order they came into your Inbox. If you want to see All Mail in Inbox by Gmail, in a similar fashion to classic Gmail, its a very simple entry in the search box. Enter in: All and you will see everything in Inbox by Gmail, with the exception of Spam, Trash, and Chats. The results will also be in the same chronological order as All Mail in classic Gmail. The only missing piece from this solution is your Chats/Hangouts will not be included in the results. Make sure you share this with your circles. Update, thanks +Tom Voute for his method of achieving all of the above, with one less click. You can create a new custom bundle, with the criteria Includes in:all. Set the option Bundle messages in the inbox to no/off. Then just click on the new bundle to see All Mail. It's absurd. The gmail designers are living in a bubble. They are making it increasingly unintuitive and difficult to use gmail.